A common debate amongst gamers is whether they appreciate realism. Some are put off by the concept of a game being wholly realistic, mainly because they feel it becomes too dull and sterile. 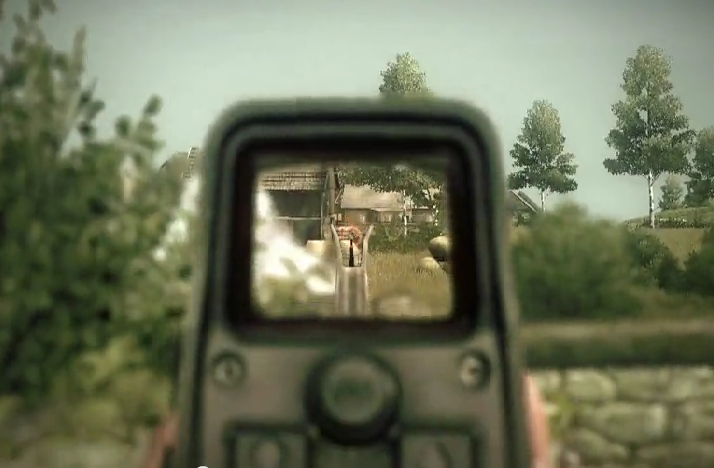 But, for some, when the FPS genre gets an injection of realism, things become a whole different ball game. Almost no one can ignore the tactical appeal of games such as Rainbow Six, as you feel the satisfaction of perfectly breaching a room, and this putting the player through a whole new kind of challenge. 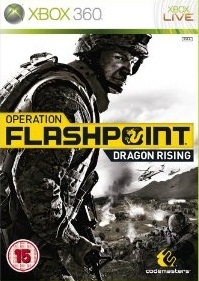 Operation Flashpoint: Dragon Rising, the first console edition of Codemasters’ hit PC series, attempts to capitalise on that. The island of Skira has been taken over by China after an economic collapse. Previously under the rule of Russia, the Red Army naturally want it back, and call on the peace treaty signed after the Cold War to bring America to the island so they can clear out the PLA forces and secure the energy source. There's a long video at the beginning explaining this conflict, but after that, the story is almost completely non-existent. The sparse dialogue between other soldiers is just to explain the mission, and none of the characters in the game are interesting or memorable. In the end, it’s just another fictional conflict. Ah, one of my favourite pieces. I call it: "War, with a hint of Cranberry"
"HE'S BEHIND YOU!" Not really. Dragon Rising tries to create the illusion of an open-world game, and while there is a vast world to trek through during missions, there’s almost no incentive for exploration. The missions still take place within a linear structure, as objective markers guide you to the next destination with very little freedom in how you can complete these. The objectives appear varied, but it mostly boils down to killing everything in the way and following the markers. A couple of moments allow you to change how you play, for example one mission essentially lets you complete two objectives with one stone, but these are rare. A routine forms: you follow the markers, complete the mission and repeat ad nauseam. Side missions do crop up, such as destroying SAM units or eliminating hostiles from a nearby village, but they add nothing. Where Dragon Rising tries to stands out in the market is through its realism. Even on lower difficulties, it can only take one bullet to kill you, and taking too much damage will affect your performance, such as shots to the legs preventing sprinting. Damage must be healed with medical bandages otherwise you'll bleed to death. Medics can revive you, though more often than not it’ll be too late. Realism also factors into shooting itself. You gain access to a selection of real-life military weapons, and shooting them is more difficult than your average shooter as recoil and wind direction affects whether bullets hit. It is interesting, but it can be frustrating too, as even with your aiming indicator highlighted it will still miss shots. It definitely makes it more challenging than other FPSs. Sadly, several things severely detract from the realism and drag the game down. The artificial intelligence is glaringly bad; hostiles will shoot at the floor or fail to shoot at you entirely, but Squad A.I. is worse as they walk in front of your shots or ruin your well-laid plans by ignoring orders. Vehicles such as helicopters and humvees are present, but they are awful to control. Glitches are also far too frequent, including floating bodies and bugged reload animations, and other oddities such as squad mates magically respawing rather than showing them appearing in a chopper, dispel the immersion. When DR works, it can be pretty fun to watch your squad perfectly execute your plans, but all too often bugs and flaws ruin the experience. It doesn’t help that Dragon Rising is extremely brief, clocking in at barely five hours. Harder difficulties ramp this up, but it’s not worth it considering all the problems. Some multiplayer modes come into play as well. The co-op side of things is good, removing the shambolic Squad A.I. from the campaign, though bugs and other flaws still present themselves. The competitive mode isn’t good however, with only standard deathmatch and capture moves available. It’s also worth noting that the 360 and PS3 versions of Dragon Rising only support 4v4, while the PC version increases the player count to 16. Lag is also persistent during competitive multiplayer, though co-op was fine, oddly. You’d hope that Dragon Rising would impress visually, considering it sports a huge world rendered by the Ego engine which powered Dirt 2. It is not put to good use here however, as while the world is large, it mostly consists of the same pixelated square of green scrub. And this sparse game world compromises everything else: animations are stiff, enemy models are recycled and even squad-mate’s faces are repeated. The sound effects are much stronger however. 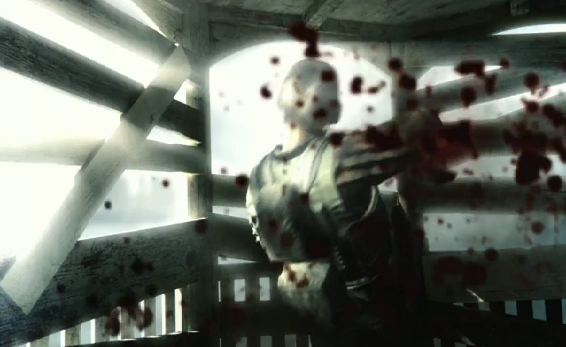 The raw gun effects make you feel like you're holding weapons of death, as well as getting shot by them. When you get shot, the sound will send shivers down your spine. However the voice acting is bland and irritating, though the change in pitch between fights is a nice touch. 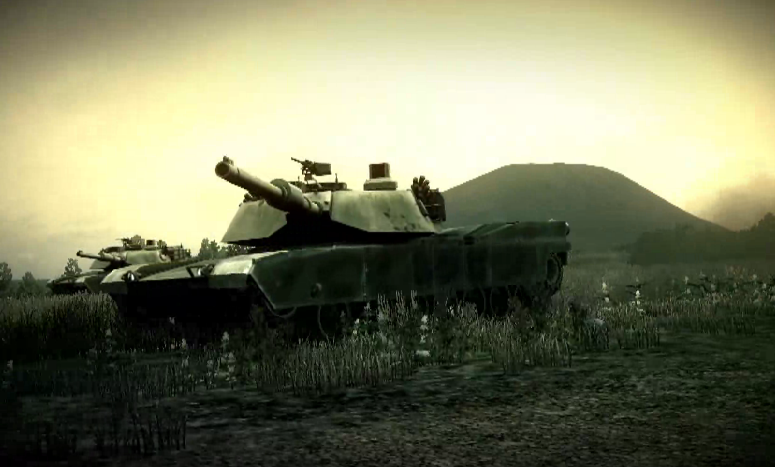 Operation Flashpoint: Dragon Rising is, sadly, quite a mixed bag. 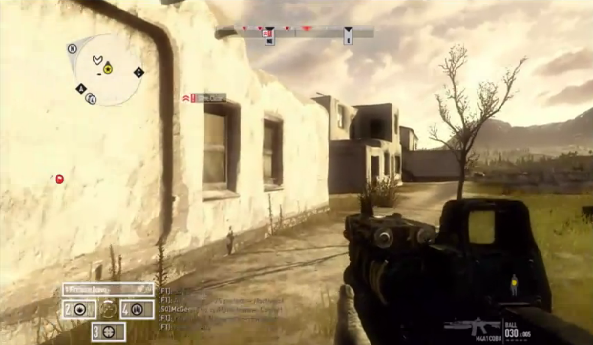 When the game is working, it’s easier to appreciate Codemasters’ attempts at constructing a realistic shooter. Sadly there are way too many flaws which mire the game deep in mediocrity. Its brief campaign is punctuated by glitches, awful A.I. and a lacking game world, all of which negate anything positive you may feel. Top that off with a shoddy visual presentation, and Dragon Rising feels limp next to its competitors. If you are a die-hard fan of tactical shooters or want a challenge, this may be worth a look cheap, but for everyone else there isn’t enough to make trudging through the game's flaws worthwhile.